Dust Off Those AM Radios, There’s Something Good On! If you are into vintage electronics or restoring antique radio equipment you may be very disappointed with the content offerings on AM broadcast radio these days. Fortunately there is a way to get around this: build your own short-range AM broadcast station and transmit curated content to your radios (and possibly your neighbors). There are several options for creating your own short-range AM broadcast station, and this gives you something fun to tune into with your vintage radio gear. 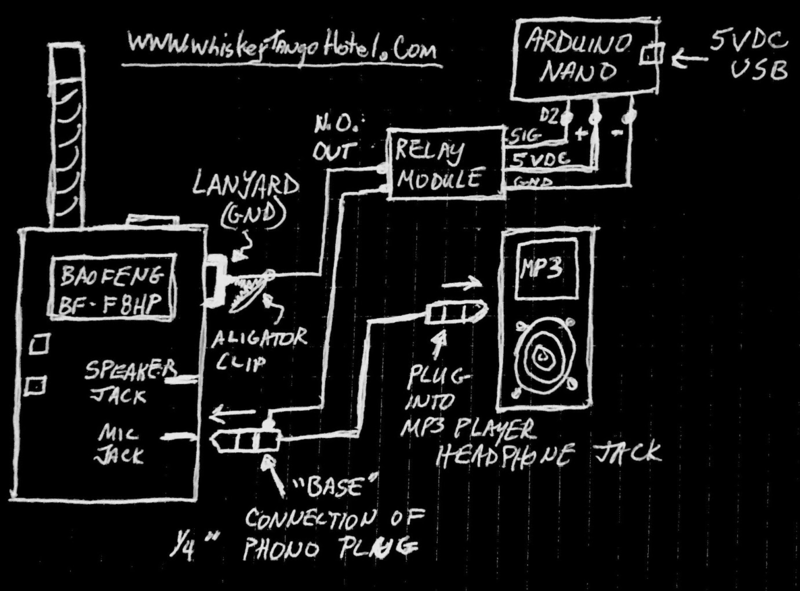 Ask Hackaday: How On Earth Can A 2004 MP3 Player Read An SDXC Card? What were you doing in 2004? Can you even remember 2004? Maybe it’s like the old joke about the 1960s, if you can remember it, you weren’t really there, man. Cast your mind back, [Lance Armstrong] was winning the Tour de France, and SpaceShipOne made it into space. [Gregg Eshelman], wrote to us to say that in 2004 he bought an MP3 player. Ask your parents about them, they were what hipsters used before they had cassette tapes: portable music players that everyone thought were really cool back then, onto which music didn’t come from the Internet but had to be manually loaded from a computer. Jokes about slightly outdated consumer electronics aside, [Gregg]’s player, a GPX MW3836, turned out to be a really good buy. Not only does it still work, it packs an unexpected bonus, it reads 64Gb SD cards when they are formatted as FAT32. This might not seem like a big deal at a cursory glance, but it’s worth considering a little SD card history. Back when the GPX was made, the maximum capacity of an SD card was 2Gb, a figure that must have seemed huge when the standard was created, but by the middle of the last decade was starting to look a little cramped. The GPX player is designed to only read these original 2Gb cards. In the years since then there have been a couple of revisions to the standard, SDHC, and SDXC, which have given us the huge cards we are used to today. Many other devices from the 2Gb SD era, made before SDHC and SDXC existed, cannot read the modern cards, yet [Gregg]’s GPX can. Hackaday’s readership constantly amaze us with the sheer breadth of their knowledge and expertise, so we are sure that among you reading this piece will be experts on SD card standards who can shed some light on this mystery. Why can a player designed for the original SD card standard read the much newer cards when other contemporary ones can not? [Gregg] would love to know, and now our curiosity has been whetted, so would we. If you think you’ve heard [Gregg]’s name before, it might be for his expertise in resin casting automotive parts. SD card image: Andreas Frank (CC BY 2.5). [Ash] built Moo-Bot, a robot cow scarecrow to enter the competition at a local scarecrow festival. We’re not sure if Moo-bot will win the competition, but it sure is a winning hack for us. 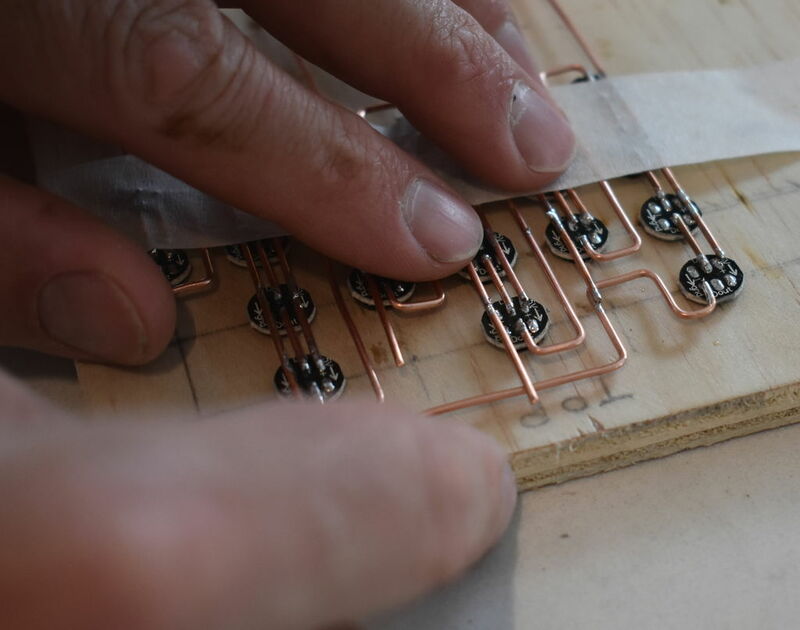 [Ash]’s blog is peppered with delightful prose and tons of pictures, making this an easy to build project for anyone with access to basic carpentry and electronics tools. One of the festival’s theme was “Out of this World” for space and sci-fi scarecrows. When [Ash] heard his 3-year old son sing “hey diddle diddle, the cat and the fiddle…”, he immediately thought of building a cow jumping over the moon scarecrow. And since he had not seen any interactive scarecrows at earlier festivals, he decided to give his jumping cow a lively character. Construction of the Moo-Bot is broken up in to three parts. The skeleton is built from lumber slabs and planks. The insides are then gutted with all of the electronics. Finally, the whole cow is skinned using sheet metal and finished off with greebles to add detailing such as ears, legs, spots and nostrils. And since it is installed in the open, its skin also doubles up to help Moo-bot stay dry on the insides when it rains. To make Moo-Bot easy to transport from barn to launchpad, it’s broken up in to three modules — the body, the head and the mounting post with the moon. Moo-Bot has an Arduino brain which wakes up when the push button on its mouth is pressed. Its two OLED screen eyes open up, and the MP3 player sends bovine sounding audio clips to a large sound box. The Arduino also triggers some lights around the Moon. Juice for running the whole show comes from a bank of eight, large type “D” cells wired to provide 6 V — enough to keep Moo-Bot fed for at least a couple of months. Check out the video after the break to hear Moo-bot tell some cow jokes – it’s pretty funny. We’re rooting for it to win the competition — Go Moo-bot. DOOM, is there anything it won’t run on? Yes. Your front lawn cannot currently play DOOM. Pretty much everything else can though. It’s a testament to the game’s impact on society that it gets ported to virtually every platform with buttons and a graphical screen. This video shows a Sansa Clip playing DOOM, but it’s only just barely recognizable. The Sansa Clip has a single color screen, with yellow pixels at the top and grey for the rest of the screen. The monochrome display makes things hard to see, so a dithering technique is used to try and make things more visible. Unfortunately it’s not particularly effective, and it’s difficult to make out little more than the gun at the bottom of the screen.